While most people are celebrating the holidays, your employees are hard at work giving your guests memorable and joyous experiences. At least, that’s what you want your employees to be doing. 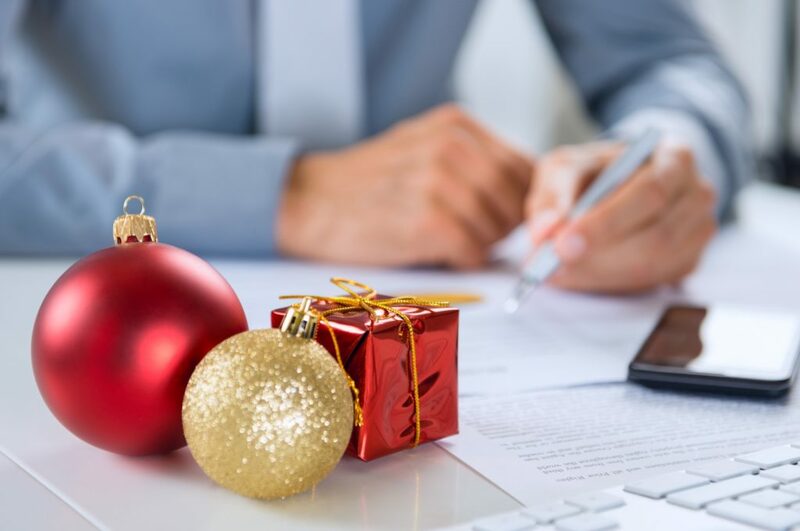 To avoid having grumpy employees who resent having to work the holidays, you might want to plan how to make the holidays bright for those who are giving up time with their families to take care of your guests. There are lots of different ways to do this — ways limited only by your creativity and ingenuity. Start out with the most simple, effective — and free — form of recognition. Say thank you. Say it often. Let your employees know you appreciate their sacrifices and hard work. Offer weekly or even daily recognition programs — giving prizes to those who have gone above and beyond. 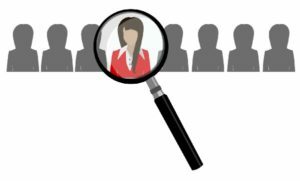 Try to come up with prizes that are specific to the ways your employees have provided great guest service. Play Santa and give your employees special gifts when they work the holidays. Take advantage of the fact that you are a hospitality organization and can offer some pretty special experiences. For example, there are casinos that give their employees tickets to big-name shows, gondola rides, or dinner passes for them and their family. Fill up stockings for your employees or get them passes to movie theaters. Pamper your employees with on-the-job gifts such as a 15-minute chair massage in the breakroom or a short yoga or meditation break. Give your employees the opportunity to exercise during their shift either independently or as part of a team. This might be a 15-minute walk around the property or 10 minutes on the bikes in your exercise room. Holidays often center around meals and as a hospitality establishment, you can share the best of your meals with the employees who make it happen. 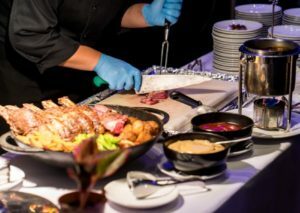 Some hospitality employees even cite that as one of the perks of working holidays for hotels — they get to eat such food as duck or prime rib on Christmas Day. Make sure you schedule time for your employees to rest and eat. Provide seasonal treats that recognize all the holidays, not just Christmas. Have them available in work stations or in the break room and share the story of the tradition behind each treat. Engage in fun holiday activities together that let your staff celebrate and create memories. Come up with ideas for holiday themed contests and games. One hotel holds a gingerbread house building competition. Each department builds a gingerbread structure and guests get to vote on their favorites. Give each employee a window to decorate and let guests vote on which window they like the best, with prizes awarded for the top vote getters. One manager bought FitBits for all his employees and held a healthy walking competition between Thanksgiving and New Year’s. The person who walked the most steps won a year-long gym membership. Hold a wrapping party. Let employees who order gifts online get them delivered to the property. Then let everyone gather to wrap gifts. Consider holding the party over two shifts so people can attend at the beginning of their shift or at the end. Incorporate holiday fun into the party such as swapping recipes for holiday meals or sharing shopping tips and gift ideas. Many of the holidays are about giving. Consider doing some collective giving for a charity that all your employees are willing to support. Schedule a shift where your employees work at a soup kitchen, go caroling at a retirement home, or adopt a family and provide them with gifts. Take pictures of your team and create greeting cards with their pictures that they can give to guests on holidays. 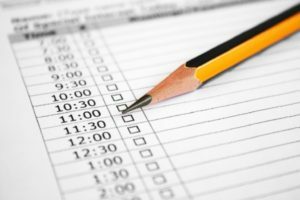 You can help keep your employees motivated by taking extra care with scheduling. Try to give everyone some portion of each holiday off so they can spend some of it with their family. One hotel shortens its lunch service on Christmas Day so its employees can go home and have a meal with their family. Work with staff members who may want one day off rather than another because of the way their family celebrates or because of their own traditions. One restaurant tells employees they have to work either Christmas Eve or New Year’s Eve, but they can have the other one off. Employees with young families tend to take Christmas Eve off while people who are single take New Year’s Eve off. 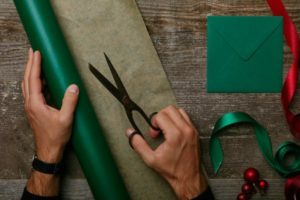 Make your own holiday traditions for your property and its employees. Not only will you have happier employees, but they will be more willing to make the day festive for your guests.